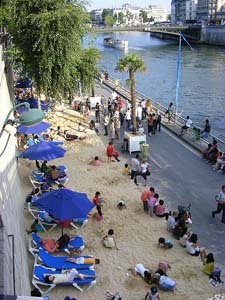 There are so many things to do in Paris. Such a beautiful city, romantic, old, vibrant. The monuments of Paris dot every corner. You could spend a whole week just visiting the museums. There are beautiful parks. Scoot around on bikes, buses, or walk. Spend the evenings going to nightclubs and theater. Take guided tours like a Scene River cruise. Go to Disneyland. Eat great food in Paris for sure. Is your head spinning? Let’s break it down. 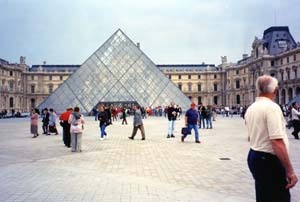 Start with the most famous monuments of Paris (minus Sacré-Cœur unless you’ll be staying longer). 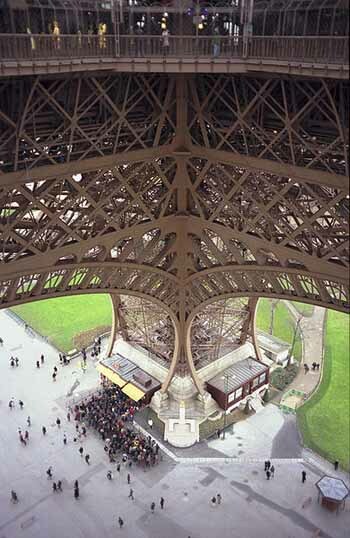 The Eiffel Tower gives you sweeping views of the city. 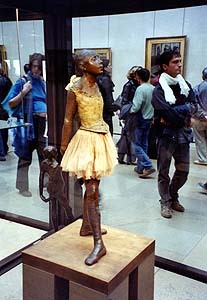 Absorb the art at the Louvre. This will give you time to stop in a café for a break during the day and enjoy a delicious evening meal at one of the top restaurants in Paris. 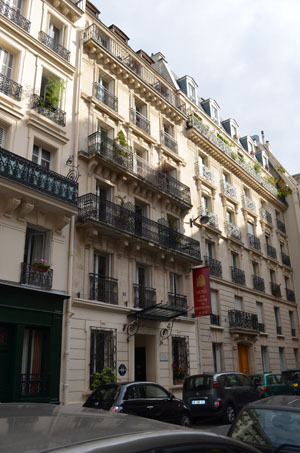 Our recent 3 days in Paris: what we did plus reviews on restaurants, hotel and tours. 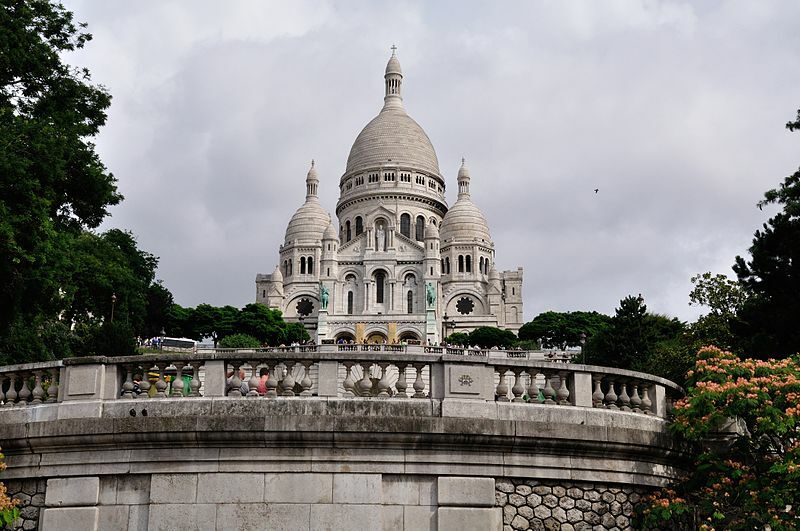 Sacré-Cœur in the Montmartre neighborhood is worth a visit. Montmartre Paris France is famous for its artists, has a village feel with small restaurants with colorful awnings on winding hilly streets. Bring your walking shoes for the hilly climbs. Musée d'Orsay is housed in the former Gare d'Orsay, a Beaux-Arts railway terminal. 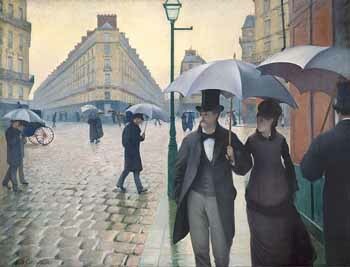 The museum houses French paintings dating from 1848-1914. The Pompidou Center "Centre Pompidou" is the modern art museum in the city and includes an outdoor plaza with jugglers and fun stuff to watch. Seine River boat tours are a terrific way to see Paris from a different perspective with the added benefit of a seat to rest those tired feet. Choose from day, evening and dinner cruises. The Palace of Versailles is one of the top tourist attractions in France. It is only 30 minutes outside Paris. Giverny, the gardens and home of famous Impressionist painter Claude Monet. It's 1 hour outside Paris. Disney World Paris is a great place to take the kids. 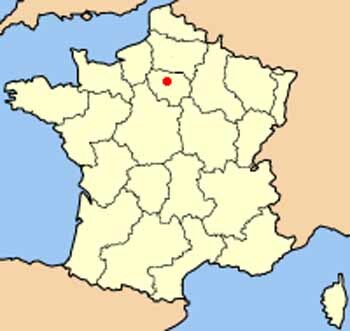 It's 45 minutes from the center of Paris. And Mickey Mouse speaks French! 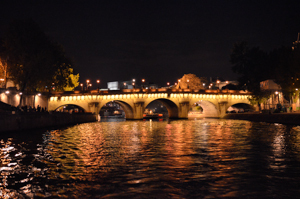 Take a Seine River cruise and see the lights. Buy a copy of "Pariscope" a weekly magazine sold at newstands. It list all the events going on that week. All in French. Cemeteries you say? These are popular tourist destinations. The Catacombs of Paris, “l'Ossuaire Municipal”: skeletal remains of 6 million people in caverns and tunnels of the old stone mines of paris late 1700s burial site. Père Lachaise, the cemetery of 69,000 tombs includes famous French artists like Edith Piaf, and the grave of Jim Morrison. 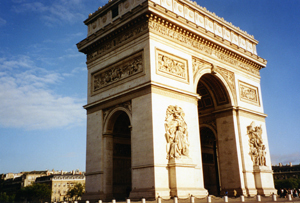 Whatever you choose to do you'll soak up beaucoup French culture and have a wonderful time.